This excursion to the uniquely beautiful border region between Chile and Argentina goes to places only rarely visited by other tourists. Heading east out of San Pedro, through the «Pampa de la Bola», various viewpoints will soon treat you to wonderful views of the many surrounding peaks topping 16,000ft. By the small salt pan of Pujsa, you will also get the chance to observe hundreds of flamingos in their natural habitat: a unique experience you are unlikely to have to share with many other visitors. 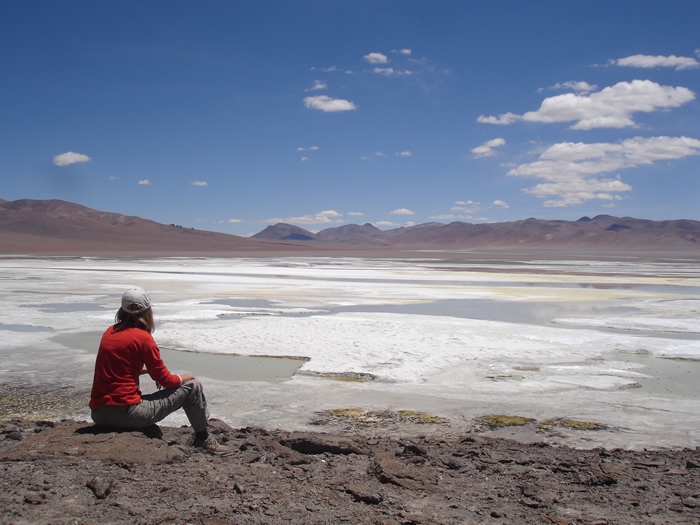 The Salar de Pujsa is, in fact, the region’s most important breeding site for the James flamingo species. 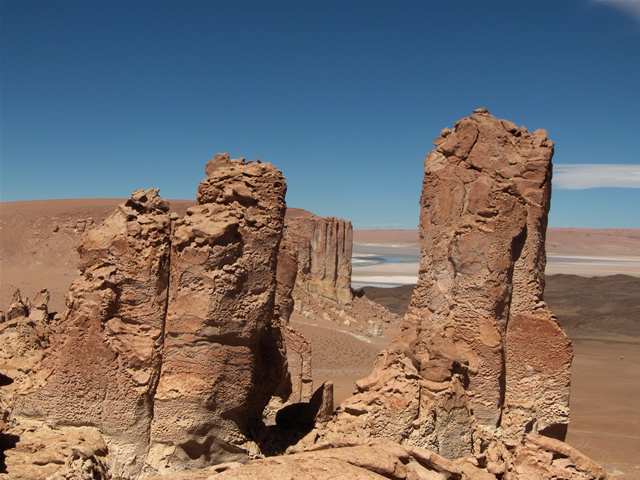 large pointed cliffs and naturally-formed sculptures standing in the middle of the desert that recall a lonely procession of monks – hence their name. 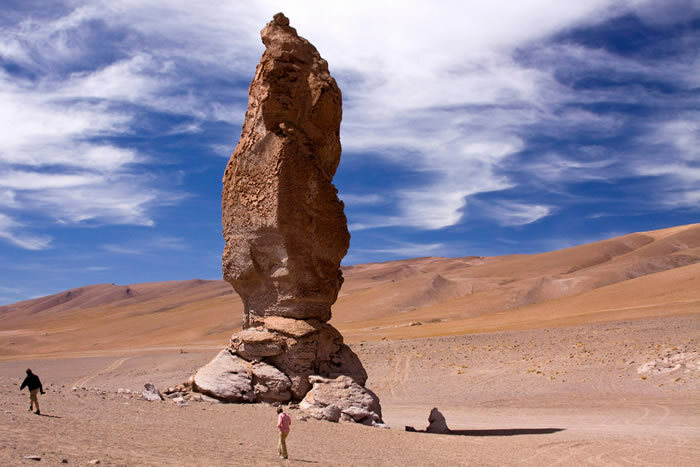 In Chile, this natural phenomenon is also known as the «Moais of the Desert» – alluding to the man-made moais of Easter Island. Take a stroll among «the monks» before the transfer back to San Pedro, in the late afternoon. As most of this tour takes place at altitude levels between 4,000m/13,124ft and 4,600m/15,092ft, there is a possibility of experiencing conditions associated with altitude sickness, such as nausea and tiredness. We do not recommend this excursion for persons with altitude sickness or problems with their blood pressure as well as pregnant women.